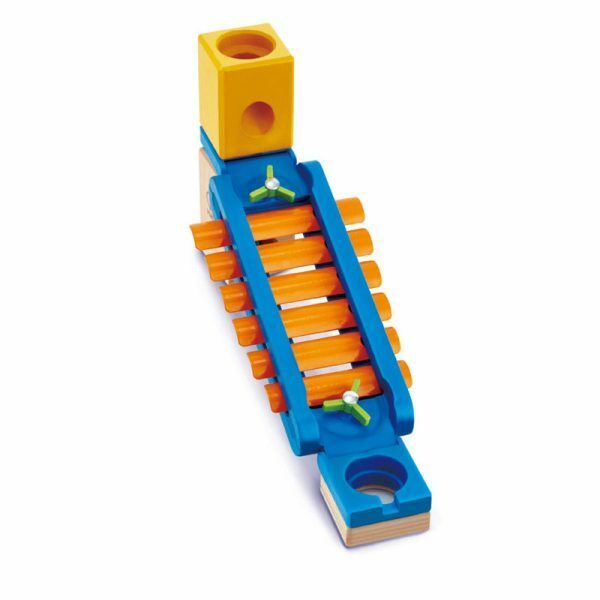 Great turn taking fun for children who enjoy xylophone sounds. 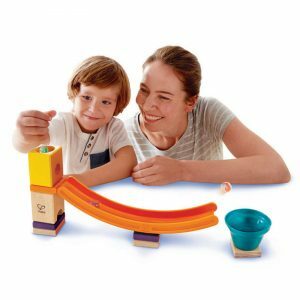 As the marble runs down the rail, a musical scale plays! 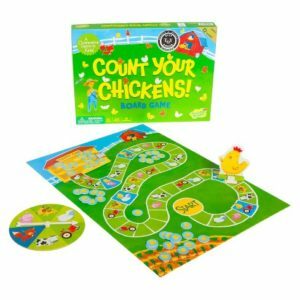 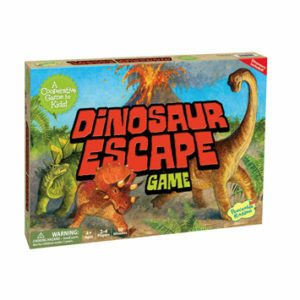 This game is suitable for children who can tolerate waiting for short periods during play with adults and/or peers. 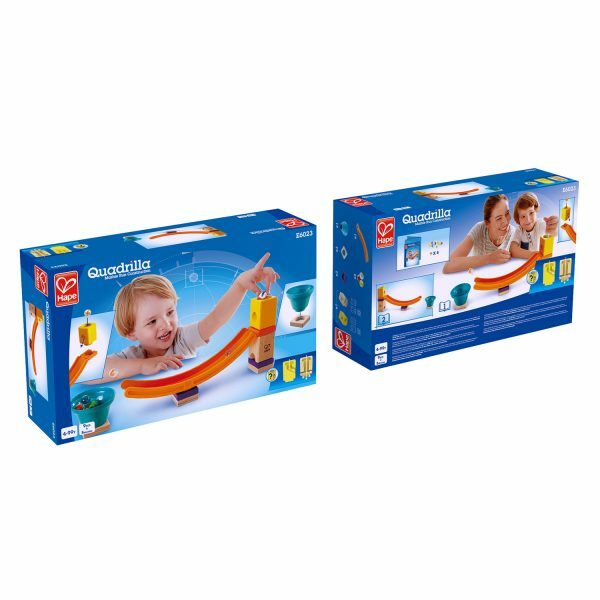 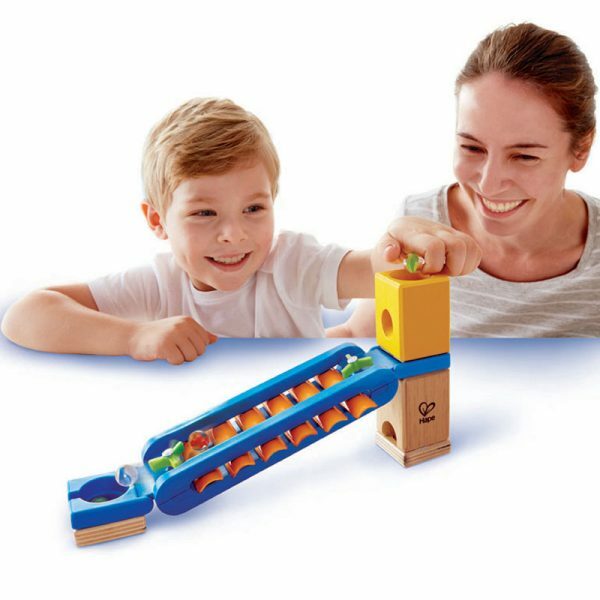 Combine with other Quadrilla ramp products to extend play time.